Well-known Tianjin Fifth Avenue, which is filled with hundreds of historical architectural buildings, is now home to the coastal city's leisure and culture center. 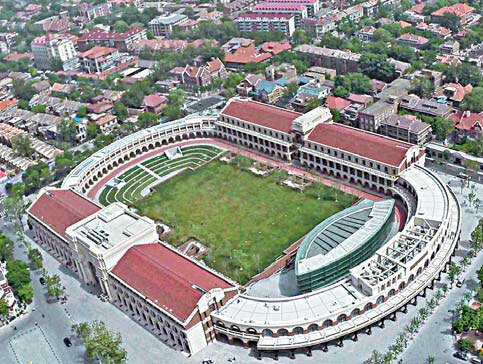 Tianjin Minyuan Stadium used to host football matches and performances but after two years of construction it reopened as a culture center in May. 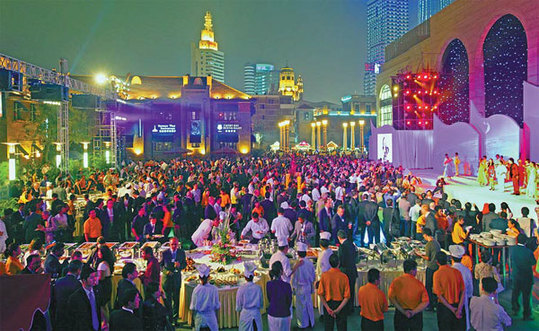 The cultural show Tianjin's Night, for the 2014 Summer Davos Forum, will be held at Minyuan. The 72,000-square-meter site boasts a new sports and leisure park and has space for tourism functions, cultural exhibitions and food and beverage outlets. The whole stadium is open to the public for free, according to Wang Yeming, director of the Fifth Avenue administrative committee in Tianjin's Heping district. "Since it opened to the public, the stadium has received about 40,000 visitors a day and the number has reached 70,000 to 80,000 in the holidays," he said. Tianjin's historical Fifth Avenue area is the former site of foreign concessions in the city and has hundreds of well-preserved Western-style buildings. Minyuan is at the center of the area and is near renowned attractions like the Qingwangfu - the former residence of a Qing Dynasty (1644-1911) prince. 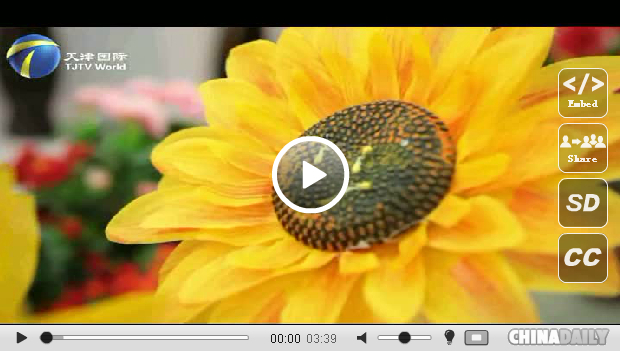 The neighborhood is the main area for culture and tourism in Tianjin, according to the director. "The re-opening of Minyuan stadium will help promote the area's cultural diversity and attract an increasing number of foreign tourists," Wang said. To better serve foreign visitors, the administrative committee designed online guides with different languages, which can be downloaded through apps offered at Minyuan stadium. Minyuan has been called the city's new "showroom" to welcome tourists from both home and abroad and launch large-scale cultural activities, said Jiao Yuling, an official at Tianjin Culture Bureau and the director of Tianjin's Night. According to Jiao, the performance due to be held during the 2014 Summer Davos will focus on the cultural elements of Tianjin and the Fifth Avenue area, such as the horse-drawn carts, Western-style buildings and the Chinese roses. The Annual Meeting of the New Champions will bring together a new generation of companies and leaders who are changing the global economic landscape.